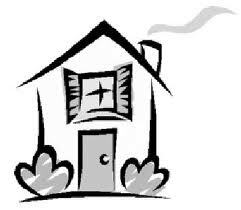 For a search for what could be your Ideal Home, please take a moment to fill out and submit this page. We do not give out your information to anyone without your permission nor do we sell your information. Also, submitting this form in no way obligates you to anything. Once we get your submission, we will review your form, evaluate your specific situation and discuss how we can help you. Searches, showings, credit restoration, credit issue specialist lenders (our "golden needle in a haystack" lending team) and more. We are here for you. No worries ! * E-mail Address : Invalid format. Single Family Minimum number of selections not met.Maximum number of selections exceeded. Condo Minimum number of selections not met.Maximum number of selections exceeded. Other : Minimum number of selections not met.Maximum number of selections exceeded. We strongly recommend for you to review the Rent-To-Own Qualification and Fair Market Rent pages before filling out the form above. This is important because it will help familiarize you with what is realistically available on the market today in the area(s) you are considering. To see if you pre-qualify for a Rent-To-Own, divide your monthly income before taxes by 2.4. This amount is the maximum rent you pre-qualify for. For example, if you make $3,600/month (gross income, before taxes), you pre-qualify for a Rent-To-Own of up to $1,500/mo. [$3,600 / 2.4 = $1,500]. To see if you could afford what you are seeking, look up Fair Market Rent (FMR) for the area(s) and number of bedrooms you are interested in. Note: The rental amounts published on the Fair Market Rent website are for efficiency to 4 bedroom properties (generally single family). Fair Market Rent figures are not what the actual rent would be but simply a "ballpark" estimate of what the rent is likely to be. These are published annually by HUD as a general reference for estimated nationwide rents. Actual rent could be higher or lower than Fair Maket Rent. Properties priced below 80 % of Fair Market Rent are generally hard to find. The more expensive the property, the higher the rent. If you have pets (including service animals), there may be additional pet/service animal fee(s). Additional leasing fees (move in/out charges, etc.) may also apply. Regarding the exclusive purchase option, a 'purchase option premium' is required. These are funds paid for the option (not the lease). This is generally payable in full up-front. Most exclusive options cost between $5,000-10,000. If this is too much for you, no worries, an installment plan could be set up for part of the purchase option premium. This would add to the monthly 'regular' rent (rent covering the lease and not the option). This would lower amount due up front. Another option is a 2nd (or 3rd) annual purchase option premium. Also, the security deposit could cover part or all of the purchase option premium. To learn more about how the Rent-To-Own (lease with purchase option) program works, please visit the Tenant-Buyer FAQ's and the Terms and Conditions pages. NOTE: Property searches are for rentals, some of which could be "rent-to-owns". Not all rentals may have a purchase option available. If a property is also for sale, then a purchase option could also be available. For further information, Contact Us.